HD buckets are customized and designed for demanding use. 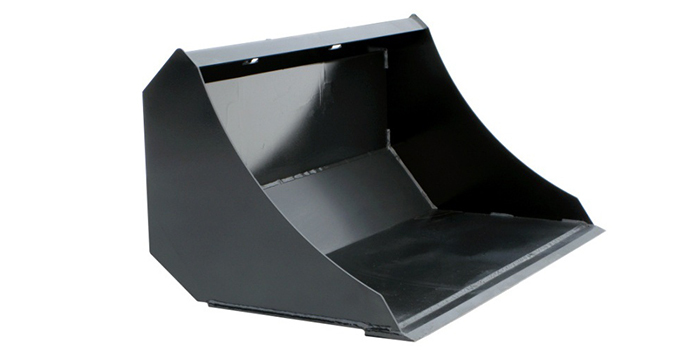 The design and volume of the HD bucket is made to get a safe use even with heavy material on respective Norcar loader modell. Taking in consideration their tipping load value. The buckets have a 12 mm thick cutting edge and 10 mm reinforcement plates underneath the bucket. The HD buckets configuration with bent side plates and with a draft angle towards the rear wall of the bucket makes its penetration capabilities very good even in rough and heavy materials.